Who's cutting onions at this hour? Darndit, who let these onion-cutting ninjas out? Mention Thailand and a couple of things come to mind: Chatuchak Market (which is coming to Malaysia, by the way), cheap clothes, iced teas, 'The Shutter' and Thai girl show body-bending massages. Another thing that the Thais are really good at are commercials that make you bawl like a little baby. When it comes to tear-jerkers, Thailand would obviously take the gold medal. Over the last couple of years, these commercials have racked up millions and millions of views on YouTube and Facebook. 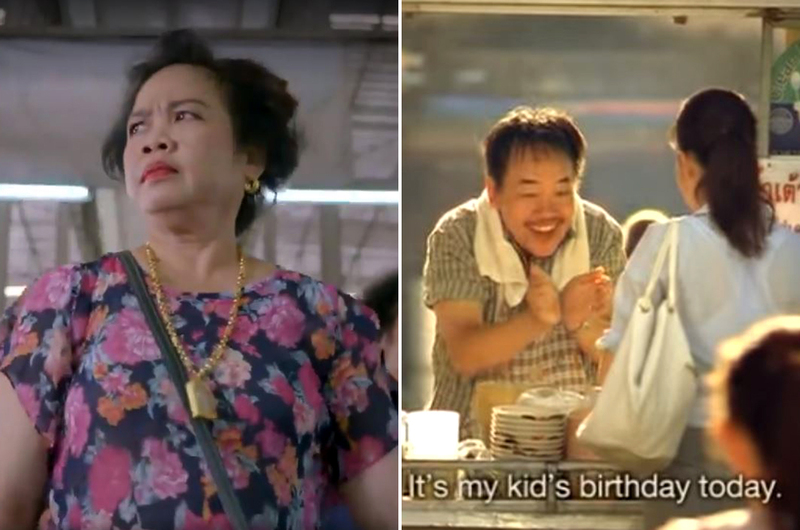 The latest one comes from Thai company CP All (who runs all the 7-Eleven stores in the country), who stresses the importance of hearing two sides to a story and not judge people at first glance. Since you're probably already bawling like a baby, we thought, why stop there? This, in our opinion, is one of the saddest Thailand-made adverts we've ever seen. 'Silence of love' shows the sacrifices a deaf-mute father makes for his daughter, despite facing numerous rejections from her teenage daughter who thinks her father doesn't understand her. Please go hug your dads now. Speaking of tear-jerkers, this is another one that got us real good. Thailand telco True Move's 'Giving Is The Best Communication' conveys a powerful message about giving to the less fortunate, and how it is sometimes the best form of communication. Why you gotta make us cry, True Move? How many times have you gone out of your way to help someone in need? This ad titled 'Unsung Hero' by Thai Life Insurance will make you feel bad for not buying keropok from the makcik standing outside Maybank. We guess the message is simple yet powerful: do what you can do help people in need, because there's nothing more heartwarming than seeing their emotions. This heartwarming commercial by messaging app LINE won the Cannes Bronze Lion award back in 2014, and for a good reason. 'Closer' tells the story of a father who uses Line to communicate and cheer up his daughter after the death of her mother. And here's the best bit: it is actually based on a true story. Gaddamit Thailand, do you want us to cry to death? We have a feeling Red Bull was looking directly at us when they were writing the storyboard for 'Mother & Son'. Sometimes, we are so busy with our daily lives that we neglect things that are important to us, like our loved ones. Great job of using moms in this video to guilt trip us, Red Bull. We hate you! Ehh, we thought Pantene shampoos are supposed to be tear-free? All jokes aside, 'The Deaf Violinist' taught us a few things: 1) it's okay to be different, 2) always give your best in whatever you do, and 3) never, ever give up on your dreams. But please, Pantene, stick to making shampoos and stop making us cry. A glance at the title of this commercial and you know this one by Thai Life Insurance is going to be a tear-jerker. We can't do this anymore. Have fun wiping those tears off your eyes, you guys.